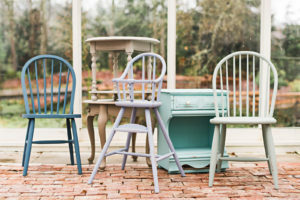 Home » Blog » Blog Posts » Vintage & Co. is Now a Retailer of Country Chic Paint! 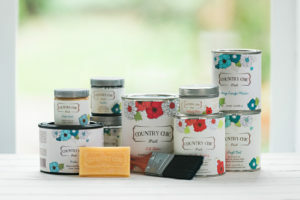 Vintage & Co. is Now a Retailer of Country Chic Paint! We are so excited to be able to offer you a new line of home décor and furniture paint! 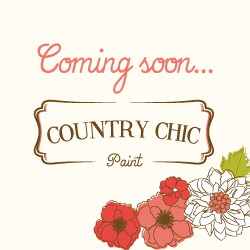 After careful consideration we chose Country Chic Paint. 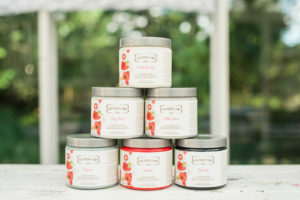 Their All in One Décor Paint is clay based and has superior adhesive qualities, making it possible to paint essentially any surface with very little preparation. It’s also eco-friendly with ultra-low VOC’s (less than 10g/l), and it is suitable for inside as well as outside projects. Because the All in One paint has excellent coverage, it requires less coats. Additionally the paint cures to a durable finish that does’t require a top coat. It also works remarkably well to create a distressed look. getting furniture ready for the big debut! Stay tuned!